Right after I finished Mass Effect 2 I jumped right into its sequel, which likely did the game no favors. 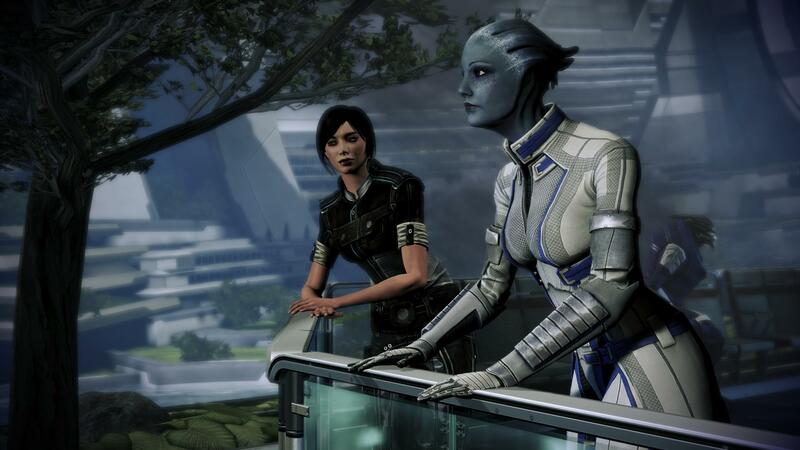 Mass Effect 3 is a good game, but it is also a disappointing one. It does a lot of things well, but I don’t think it does them better than its predecessor. The story goes for epic, but you can almost feel the game crumbling under the pressure of being the epic conclusion to this series. The fact that it can’t fulfill the expectations placed upon it mostly reflects the overwhelming nature of those expectations and not any great fault in the game. Mass Effect 3 tries to be the biggest and the best, but it really can’t reach the heights that it strives for. I can’t help but admire its ambition, even if the result is just not as much fun as the last game in the series. I spent most of my time with Mass Effect 3 trying to figure out why I was enjoying it so much less than Mass Effect 2. I absolutely loved Mass Effect 2 and Mass Effect 3 plays largely the same, except for some reason it is much less fun. Maybe it is due to the slight changes to how the sniper rifle works. I relied heavily on that weapon in the previous game and in ME3 it was harder to use and somewhat less effective. While I didn’t actually time it, the missions seemed to go on longer as well. Missions seemed pretty brisk in ME2, playing out fairly quickly. In ME3 they just seem to drag on forever. I end up wanting to move on well before they end. It could also be that Shepard’s allies this time are kind of disappointing this time out. Sure, returning favorites Tali, Garrus, Liara and the survivor of Kaiden and Ashley join up, the new additions are just kind of there. There is nothing wrong with James, but neither is there anything particularly compelling about him. And EDI getting a body to run around is a great idea that isn’t quite as well realized as it could be. The cast here is perfectly fine, but coming off of Mass Effect 2’s truly compelling dirty dozen this group can’t help but be a little disappointing. The biggest problem Mass Effect 3 has is that it is built as a product to the detriment of the game. Any commercially released video game is a product, I don’t mean to rail against the idea that the people who put this game out want to make money, but the experience of ME3 is hampered at every turn by stuff outside of the game. For example, a DLC pack includes a new squadmate. That is not a bad thing; ME2 included a pair of DLC characters. The difference is that Kasumi and Zayeed, the pair from ME2, were just a pair of normal characters that the player could have encountered in the Mass Effect universe. ME3’s new character, Javik, is a Prothean, the ancient race that existed in the game’s distant past. Finding him alive is a big deal; he is the sole survivor of a race that has been dead for fifty thousand years, it should cause a much greater reaction than it does. There can be no big reaction, though, because he is DLC. He can’t be central to the game because he is technically optional. Then there is the whole Galaxy at War system. It is a great idea, with each of Shepard’s victories increases the military power she and her allies can bring to bear against the Reapers. The problem with it is that it is hampered by being paired with the game’s multiplayer. There is nothing wrong with the multiplayer, but making it essential to the single player is a short sighted move, the multiplayer won’t be viable forever. Yes, nothing is truly locked behind the multiplayer, but it really restricts how the player can play the game and get their desired ending. Lastly, the game simply sets the stakes too high too fast. It opens with the Reapers attacking Earth. After seeing that, it is hard to get into the mood for goofing around the galaxy looking for side-quests. It is tonally inconsistent. The previous games had big problems, but they were problems that could wait. 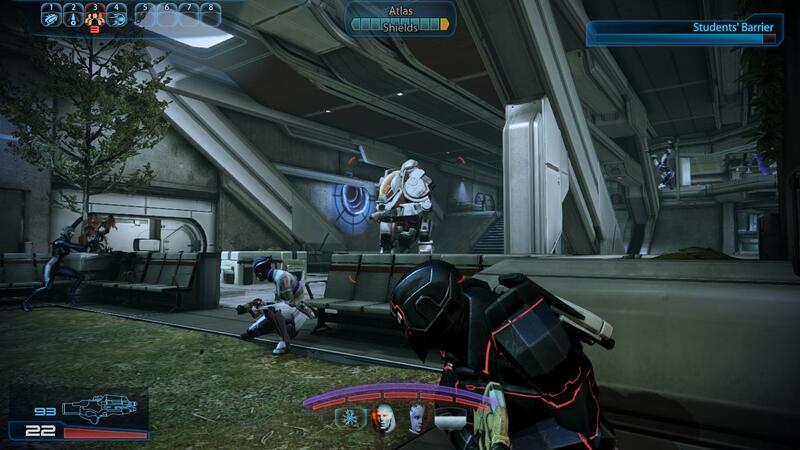 Shepard was looking for Saren, a good excuse to tool around the galaxy. In the second, Shepard is assembling a team of highly trained teammates, a good excuse to tool around the galaxy. Now, Shepard is trying to rally all the races of the galaxy to fight the Reaper, jumping at shadows all over the place feels wrong. The other problem is that the Reapers are a hard threat to actually fight. They are fifty foot tall space ticks, not something that the player can confront with machine guns. So with the stakes set very high, the game then forces players to do anything but directly confront the threat. Mostly, you have to fight against Cerberus, a secret organization that is trying to make sure humanity comes out on top when all is said and done. It feels like a lot of time wasting when important things are going on. That is a problem that the game can never recover from. Still, the game is mostly fun to play and certainly succeeds in one aspect. The Mass Effect games were sold on their connectedness. Each one leads to the next and the player builds their own version of Commander Shepard as they play them. This game truly realizes that. Nearly every mission features the seeds the player has sown sprouting. Important things like who lived and who died matter, of course, but so do things about how the Shepard resolved all sorts of matters. The core of the missions will always remain the same, they must for the game to work at all, but the details and outcomes can change drastically. It makes the player feel like they’ve affected the outcome. The characters that were big parts of all three games are all well realized. They have had three games to develop, and Bioware did an excellent job of keeping them true across three games. The Garrus and Tali you meet in ME1 are the same characters in ME3, the changes they have faced are a result of their experiences with the player. Likewise, Shepard’s relationship with them is also informed by three games worth of development. 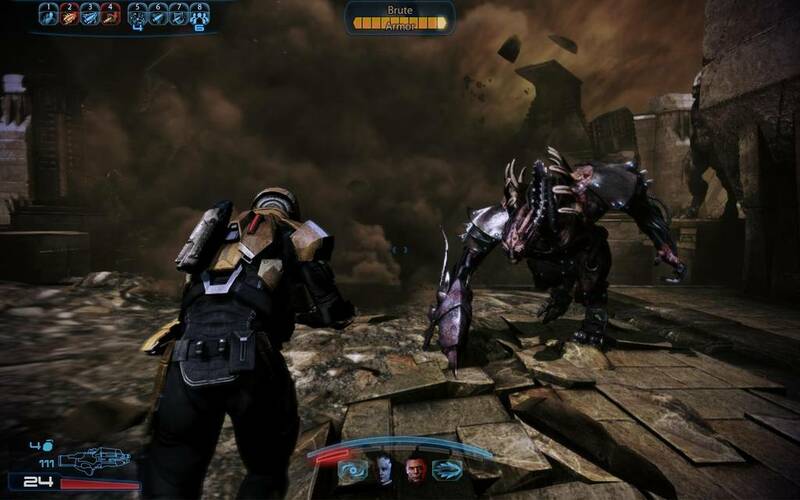 How they interact with Shepard is directly the result of how the player has played. Mass Effect 3, like the rest of the series, does a great job of giving the player the illusion of control of the story. Mass Effect 3 is a worthy conclusion to the saga, even if it isn’t as good a game as Mass Effect 2. The ending it … what it is, but the rest of the game is largely what I wanted. It ties all the treads of the series together, sometimes too neatly, and is a joy to play. Next in my Bioware replay: Knights of the Old Republic.